The Centre aims to develop the cybersecurity workforce in ASEAN, particularly in governmental agencies and Critical Information Infrastructure operators in ASEAN, training at least 700 cybersecurity personnel in the region in four years. The Ministry of Digital Economy and Society (MDES) of Thailand and Ministry of Internal Affairs and Communications (MIC) of Japan are partnering for the establishment of a ASEAN-Japan Cybersecurity Capacity Building Centre (AJCCBC) in Thailand in June. The Centre is expected to play the key role in mitigating cybercrime in the region as well as getting ready for the establishment of ASEAN-CERT. According to Bangkok Post, at the ASEAN Telecommunications and IT Ministers meeting (Telmin) meeting in Cambodia in December 2017, Thailand was chosen to be the hub of ASEAN cybersecurity training and tasked with improving the skills of security-related agencies of 10 countries. The objective of the project is to develop cybersecurity workforce particularly in governmental agencies and Critical Information Infrastructure operators in ASEAN with the aim of enhancing cybersecurity awareness, strengthening information security and data protection, and promoting information sharing. All elements are essential for the development of standardised Incident Reporting Framework across the region and the establishment of ASEAN-CERT. This is in line with the ASEAN ICT Master Plan 2020 Strategic Thrust 8: Information Security and Assurance, which is directed towards creating a trusted ASEAN digital economy and improving cyber emergency responses and collaboration. The project has received funding from Japan (JAIF: Japan-ASEAN Integration Fund) and supports in terms of technical expertise to enable effective delivery of cyber training for ASEAN Member States. MDES has mandated the Electronic Transactions Development Agency or ETDA to be the lead agency on this project, taking into consideration its extensive experience in cybersecurity workforce development. ETDA announced the planned launch of 3 courses at the upcoming Centre to prepare the cybersecurity workforce in ASEAN to face the rising threats of cyber-attacks. The courses to be conducted are: 1) CYDER (Cyber Defense Exercise with Recurrence) focuses on handling cybersecurity incidents. This course has been adopted by the Government of Japan to train cybersecurity personnel across the country during the past five years, with over 5,000 participants from more than 1,500 organizations; 2) Forensics deals with digital evidence of cyber-attacks; and 3) Malware Analysis covers the analysis of various types of malware according to the trend of cyber threats. All courses are designed to allow participants to learn the theory as well as gain hands-on experience. Content of the courses will be updated at least on an annual basis to keep up with the evolving cyber threat landscape. The Centre aims to develop at least 700 cybersecurity personnel in ASEAN in four years. In addition to conducting the courses, the Centre will also organise an annual Cyber SEA Game, a regional cybersecurity contest to nurture young talent in the field. The winning team will receive the opportunity to attend international competition in Japan. 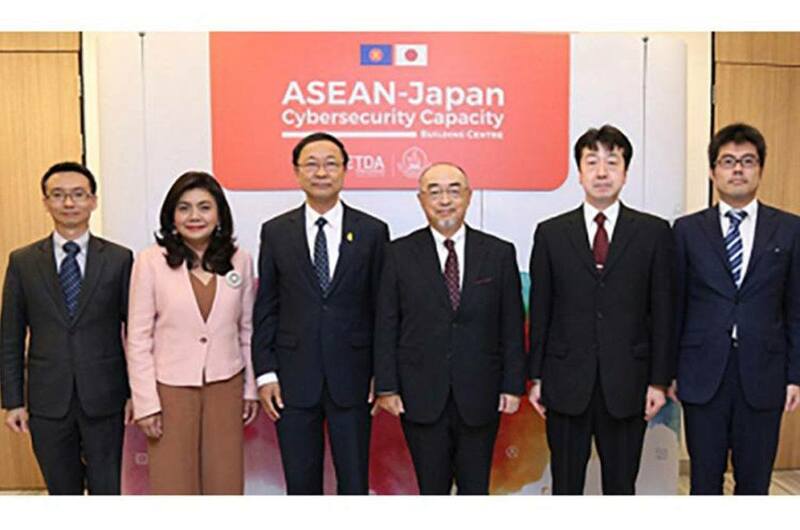 During the initial 4 years of this project, Japan will help ASEAN develop cybersecurity personnel and provide essential knowledge transfer for the long-term management and sustainability of this Centre.